For Jessica "Jesse" Malloy, growing up in the 1940s, actress Ingrid Bergman is the epitome of both glamorous actress and caring mother. Ingrid is her hero, and it helps that Jesse's father is Ingrid's publicist. However, a huge scandal erupts when Ingrid Bergman cheats on her husband and has a baby with her lover. 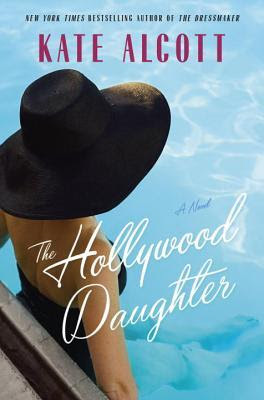 The ripple effects of the scandal carry over into Jesse's own home, where tensions are high between her father and her staunchly Catholic mother. Through the years, Jesse's relationship with her parents becomes strained, particularly because of some impulsive actions taken by a teenage Jesse that have far-reaching consequences and cause her to question the ideals she was brought up on. She flees Los Angeles as soon as she finishes high school, only returning almost 10 years later when she receives a mysterious invite to the Academy Awards. Oh wow, these are so interesting -- from your reviews, it's clear how much goodness that era provides for books. This is why I love historical fiction, to get to experience these eras that are so different from our present day! Both of these sounds really good! Like the old Hollywood vibes they give off. Great reviews! Thanks! These are such fun time periods. I love reading about old Hollywood so thanks for putting these on my radar. The second one sounds especially good! 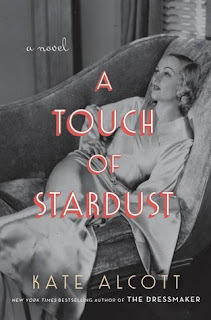 I absolutely loved A Touch of Stardust - I hope you enjoy it if you read it! What Does It Really Mean To Be A Book Blogger?